Styled with kirke pant . 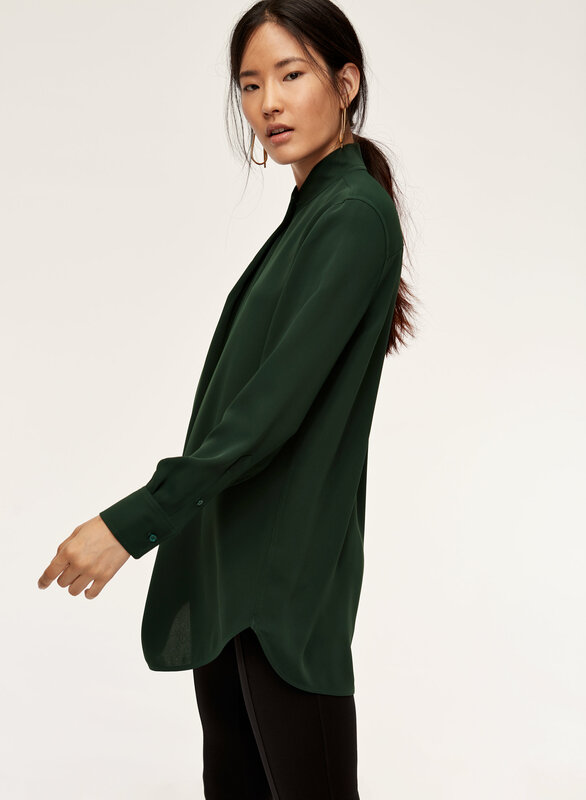 This mock-neck blouse is elevated via a beautiful drapey fabric. 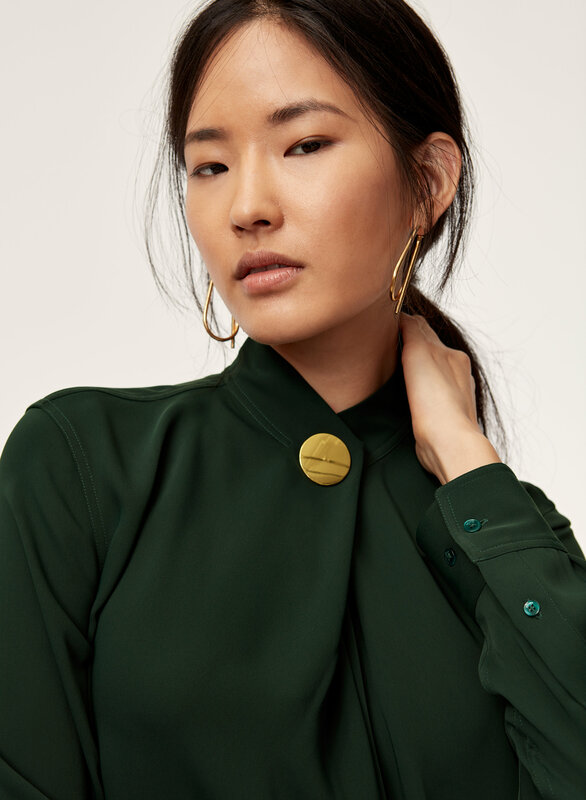 Details like box pleats and an oversized button collar add sophistication and charm. 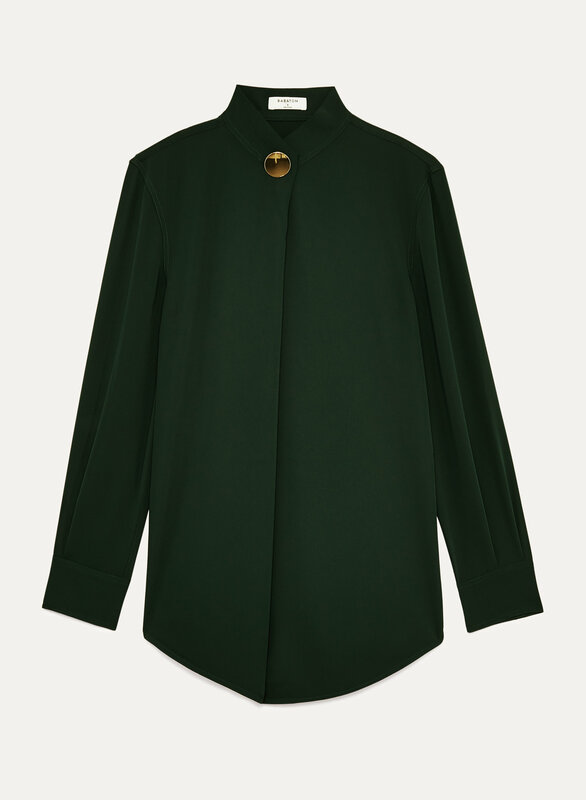 Liked the green colour and the fabric, but the neck button close is really tight. 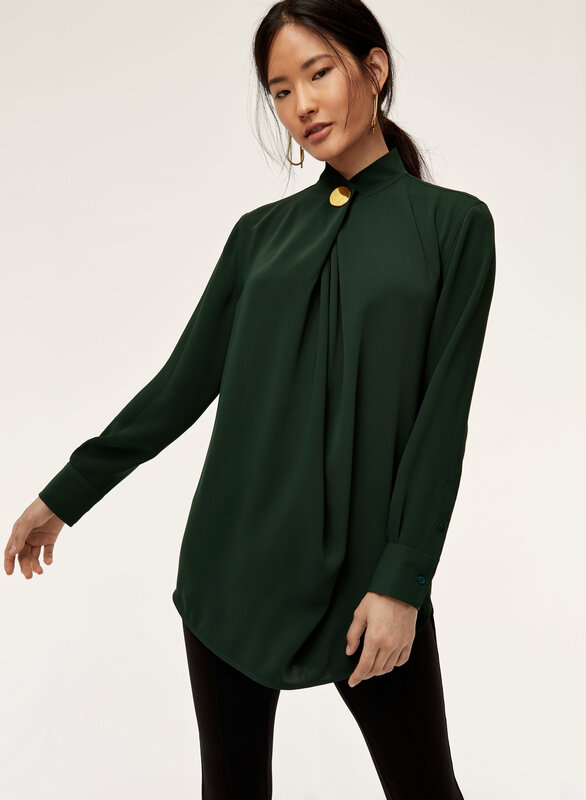 I love this shirt so much I bought it in BOTH colours :P The shirt is meant to be oversized, and I guess could work as a dress? Tried both the small and the medium, the fit looks similar jus the length of the shirt differs a bit. Very nice feel to it, and the gap in the middle doesn't show off too much. I am normally a between a medium and large and, due the oversized style of the shirt, the medium fits perfectly in most areas. However, the neck is extremely tight. Love everything else about it though! Beautiful colour, love the gold button .